Every chapter of 1 Thessalonians refers to the Second coming, especially the last two chapters. Today we are used to Christians dying but imagine a converted Thessalonian pagan. He loves the brotherhood but after a while, one dies, then others. This is unexpected. He thought Christ would come and take them all to be with him, sooner rather than later. Now he is unsettled and it is most understandable. We are unsurprised when Christians die but may be we are unclear on certain things about Christ's return. Paul says (4:13) he does not want them to be ignorant about believers who die or grieve like the rest of men, who have no hope. His subject is Christians who die before Christ returns. He is concerned that those who remain should know what happens to such people. When unbelievers die, other unbelievers have no certainty about them. Some vaguely hope for a better afterlife. It is a forlorn hope. \Only Christians have a solid hope, Though it is sad when believers die, it is not the end of the story. It is a temporary parting that ends with Christ's return. We grieve when believers die but not like those with no hope. We genuinely hope to see them again. This we must not forget when faced with death. Paul then says (14) something about that hope. We believe first that Jesus died and rose again. That is fundamental. Jesus lived and died, more than that he rose again - not mere resuscitation but a real rising in a new spiritual body, in which he ascended to heaven and with which he will return. We believe the end of the world is already here and the final resurrection begun. So far, only Jesus is raised but because of that we believe that one day God will bring with him every Christian who has died, ready to receive new resurrection bodies. There is a phrase “it ain't over 'til the fat lady sings”. 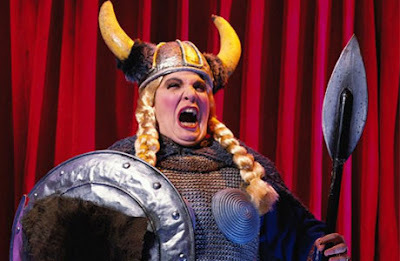 It references stereotypically overweight sopranos of Grand Opera such as the buxom valkyrie Brünnhilde, who sings in the last part of Wagner's Ring Cycle. Her 20 minute aria leads directly to the opera's end. She sings of the world's end (or at least that of the Norse gods) so as it is all over “when the fat lady sings" so we can say that with Christ's coming the world is at an end, though, as in opera, there are still things to happen before the very end. \Christ is risen and will soon return. When he does, every true Christian who has died will come with him and be reunited to his newly raised body. This is the Christian hope. When we see our brother in his coffin we are sad but not despairing. Our hope is his resurrection when Jesus returns. We look forward to seeing not only Jesus but also all who have died in him. \\Leading features of the Second Coming So Paul can say (4:15) we who are still alive, who are left till the coming of the Lord certainly will not precede those who die. A generation of Christians will be alive at Christ's return. The Thessalonians hoped they would be that generation, a misplaced desire. There is no advantage in it. The generation left … will certainly not precede those who died before his coming. There is no real difference. 1. The coming itself. First, Jesus himself will come down from heaven where he now is. We learn elsewhere that every eye will see it. Three phrases speak of the signal that will go out summoning the dead to rise - a loud command, a general leading his army speaks; the voice of the archangel the battle cry of Michael to angel bands: with the trumpet call of God as when a signal calls an army to battle. So Christ will come with loud command … archangel's voice and trumpet sound, calling people to leave their graves. Once on earth Christ cried Lazarus! Lazarus rose. A day is coming when he will call and all will respond. 2. The resurrection. So the dead in Christ will rise first. The first thing that will happen is that the bodies of the dead in Christ, Christians, will rise from their graves, the sea, wherever. There is, of course, a general resurrection; all bodies will rise. There is also the matter of what happens to those still alive when Christ returns but first there is the resurrection of the righteous that the Bible speaks of many times in both Testaments. The dead in Christ will rise. 3. The transformation of believers still alive when he comes. Paul goes on According to the Lord's own word, the words of Jesus himself we tell you that we who are still alive, who are left till the coming of the Lord, will certainly not precede those who have fallen asleep. It is only After that, that believers still alive will be caught up together with them in the clouds to meet the Lord in the air. There is an order, as we might expect from the God of order. First, Christ comes from heaven, then the dead in Christ rise, then believers on earth are transformed. Their bodies become spiritual, without dying. What is the interval between the resurrection of the righteous and this transformation? Some try to introduce large amounts of time but there is no argument for that. The gap is the matter of a twinkling of an eye. Something similar could be said of the resurrection and transformation of unbelievers. Paul does not talk about that. He wants to assure the Thessalonians that those who had recently died would not miss out but share in the resurrection and transformation as much as those who remained. 4. Eternal bliss. Finally, do not miss his point that those alive at Christ's coming and those who die in the Lord will be with the Lord forever. We will all know his presence throughout eternity. What bliss! What joy! What a glorious day lies ahead for us and all who die in the Lord. Finally, Paul says Therefore encourage each other with these words. We have a duty to keep these teachings alive and speak to each other about them so that we all take courage from them. Obviously at Christian funerals this is an obvious text. It is a part of our New Testament that we ought always to remember. Informally, we ought encourage each other with these truths too – not just when people die but always. Sports psychologists say things like “Develop a team mission. This could be your goal for the season. 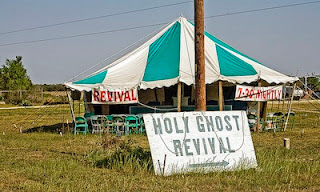 It could be a motto to encourage team unity.” Churches sometimes have mission statements and such things. Here is a great statement with which to encourage each other. When will Christ return? The question comes up in Chapter 5. Meanwhile, be clear what will happen and encourage each other with these truths as much as you can.